All the recent controversy over “whitewashing,” Hollywood’s habit of casting white people in Asian roles, got me thinking about how Japan has been portrayed in films over the years. Because I was born in Japan, my earliest movie memories are chambara, or samurai (and especially ninja), movies that I watched in black and white on television. We didn’t get to see many movies in theaters, but my mom used to take my brother and me to Disney features when they opened, riding the trains with us to the cinema. After we moved to the States, I treasured American films that were set in Japan. There haven’t been a whole lot but it’s interesting to see how Hollywood depictions have showed Americans’ stereotypes of Japan, and how that’s changed over the years. This 1957 movie means a lot to me because it shows Japan of the year I was born. It’s shot in Technicolor that casts a warm, nostalgic Kodachrome glow to the images. Brando, like the military brass, doesn’t approve. Buttons and Umeki’s characters marry in spite of the opposition, but they eventually despair and their relationship ends tragically. 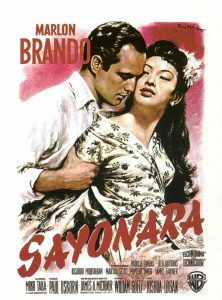 Meanwhile, Brando falls in love with a Japanese woman, played by Miiko Taka. Of course, he bucks the brass’s disapproval too. The story is subtle and complex, the scenes are gorgeously shot, and the only thing that mars the film is the casting of Latino actor Ricardo Montalban as a Japanese stage star. But this bit of “cross-ethnic yellowface” doesn’t ruin the film. It’s a classic (and a long one, at 2 1/2 hours). It resonates all the more for me because my dad was in the Army during the Korean war, and was discouraged from a relationship with my mom, who he met when he was stationed in Hokkaido. They had to have a series of meeting with superiors before they were allowed to marry. The late comedian Jerry Lewis was no stranger to racist Asian stereotypes. You can find photos of him online with thick glasses and buck teeth, playing an over-the-top version of a Japanese. But his 1958 movie “The Geisha Boy” is a little gem. Lewis is “The Great Wooley,” a hapless magician who can’t get any gigs stateside and is sent overseas on a USO tour to entertain troops in Japan and Korea. Even before he leaves America, the movie establishes that he’s a klutz, who repeatedly offends the star of the USO tour, a movie star played by Marie McDonald. The opening scene also introduces Harry, his comic foil, a rabbit. Harry is surprisingly great throughout the movie. The storyline is about an orphaned little boy (Robert Hirano) who falls in love with Lewis and his aunt, played by Nobu McCarthy, who we can tell also has feelings for Lewis. Japan in the movie is recovered from WWII, and is beautifully depicted, especially in a series of scenes where Lewis and the boy play tourist and visit spots like Kamakura, known for a giant statue of Buddha. 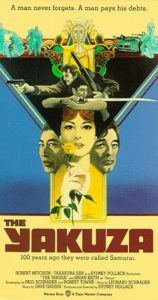 The movie deserves extra points for casting Suzanne Pleshette in her first role, an Army officer assigned as Lewis’ handler who also likes him, and for casting Sessue Hayakawa as McCarthy’s father, and bear an uncanny resemblance (nudge nudge) to the vicious Japanese officer from the 1957 movie “The Bridge on the River Kwai” (also played by Hayakawa). In a hilarious scene, the movie pays homage to “The River Kwai” with Hayakawa overseeing the building of a bridge over a koi pond. 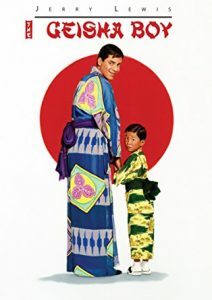 Most people probably don’t remember this 1966 comedy starring Cary Grant, Jim Hutton and Samantha Eggar, as three westerners (two Brits and an American) who cross paths in Japan during the Tokyo Olympics. 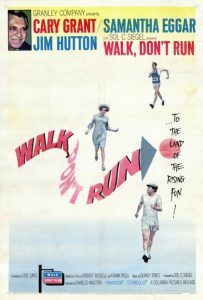 Grant is a businessman; Hutton is an architect who happens to be on the US Olympic team for a little-known sport, speed walking. Eggar lives in an apartment, and first Grant, then Hutton, end up as her roommates because all the hotel rooms are filled. Comedy and romance ensue, with Grant playing the part of a dapper matchmaker. Tokyo is depicted pretty accurately and respectfully (including the crowded narrow street where the apartment is located), and the movie’s a breezy fun bit of entertainment. It’s worth noting that the 1964 Tokyo Olympic Games was an incredibly important event for Japan. It was both a symbolic and physical coming-out party for the country, and a statement of its newfound place in the post-World War II order. To that end, the Tokyo this film portrays is vibrant, colorful and a bustling mix of western modernity and traditional Japanese charm. This late-career film noir triumph by Robert Mitchum is a 1974 introduction for many Americans to the culture of the yakuza, the Japanese version of the mafia, who live by a strict code of honor. Mitchum is asked by an old Army buddy to help clear a yakuza debt when the buddy’s daughter is kidnapped. But to help, Mitchum has to confront a Japanese man who hates him –- and the man’s sister, who Mitchum fell in love with during the postwar occupation of Japan. The movie was directed by Sydney Pollack (who worked with interpreters to guide the Japanese crew and actors) and feels like it takes place all in a night-time version of Japan. The action is terrific, and in classic noir fashion, the plot twists are unexpected. Fans of the 1989 movie “Black Rain” starring Michael Douglas and Andy Garcia as New York cops tangled up with yakuza in Japan will love this gritty precursor. 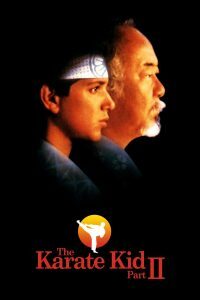 You know “The Karate Kid,” the 1984 hit movie about a young snotty white kid fro Jersey who moved to California with his mom (Ralph Macchio) who turns to an old martial arts master (Pat Morita) to improve his skills. The master, Mister Miyagi, manages this in part by teaching his young student the “wax-on-wax-off” skill of shining his car, and shows off how he can catch a fly with his chopsticks (yeah, right). The sequel to the original “Karate Kid” featured both Ralph Macchio and Pat Morita again, but this 1986 movie is set in Okinawa and was the acting debut of a lovely teenaged Tamlyn Tomita. Tomita alone is worth the price of admission. Morita’s Miyagi goes to Okinawa because his father is dying, and Macchio accompanies him. In his hometown, Miyagi faces an old rival, and of course an exciting fight is the climax to the story. It’s a sweet movie that captures the look and feel of small-town Japan (instead of the usual glamour of Tokyo), and its cast of Japanese hoodlums who pick fights with Macchio and Morita includes a wonderful job by Yuji Okamoto (who still acts from time to time and is a restaurateur in Seattle). 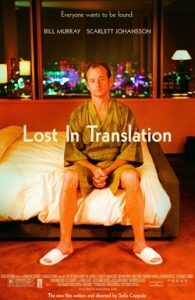 Director Sofia Coppola’s 2003 film stars Bill Murray and a young Scarlett Johansson as two Americans in the same Tokyo hotel, looking for a human connection in the foreignness of Japan. Murray is an aging, past-his-prime actor making commercials for a Japanese whisky brand, and Johansson is left alone when her photographer husband takes off on extended trips for assignments. The film was critically acclaimed and won awards, but it irritated me. My main complaint was that it seemed to make fun of Japan as a weird, exotic place where of course westerners would feel out of place, the language was foreign (duh) and things didn’t make sense. Japan was a prop, a foil to play the sad platonic romance against, as if Tokyo as a character forced these two losers together. Watching it recently, I found I didn’t hate it as much as I remembered. But seriously, Tokyo is shown as just a bizarre and lonely place. And neither Murray nor Johansson make the effort to “translate” their experience to feel at home. The late Brittany Murphy plays a naïve young American in this 2008 movie who gets stranded in Japan when her boyfriend dumps her and takes off for an extended business trip, leaving her in his apartment. She wails, she flails, and she eventually finds herself comforted by ramen in a shop across the street. She doesn’t speak a word of Japanese and the owner of the shop and his wife don’t speak any English, but she decides in a flash of inspiration that she wants to be a ramen chef. On the face of it, this is a completely unbelievable story, but it’s saved by both her sheer determination and the chef’s unrelenting crankiness towards her. He’s like a drill sergeant picking on a weakling Marine recruit, making her do the lowliest of work before he ever lets her try cooking. He dumps out her early efforts at making the all-important soup. But, in true Hollywood tradition (cue “Dances with Wolves” or “The Last Samurai”), the white foreigner overcomes the odds and succeeds… well, sort of. In the end, the movie is a somewhat shallow, but worthwhile look at a clash of cultural values between Japan and the US. Bonus points for a great scene of Murphy and her new Japanese boyfriend, played by Sohee Park, visiting the Shin Yokohama Ramen Museum – it’s a wonderful place. There are lots more, but these are movies I’ve watched in recent weeks as I’ve thought about how Americans view Japan. Let me know what movies you know that depict Japan through Hollywood’s lens – I’ll write a follow-up sometime! NOTE: An earlier version of this post was originally written for the Pacific Citizen newspaper of the JACL.